Fiber and beads… How did they do this? 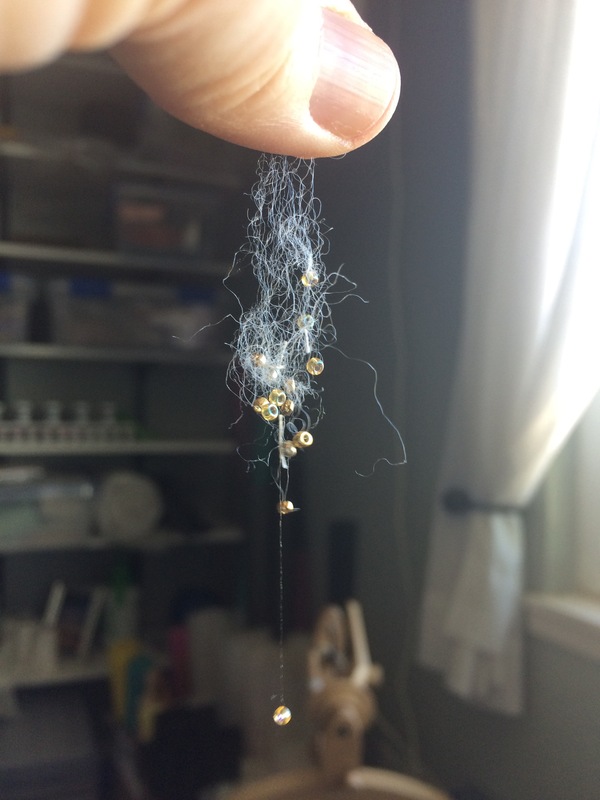 As I was cleaning up my work table I noticed that the beads were sticking to the little fluff a fiber that was sitting there. They are pretty well stuck and I have to pull them off. Very interesting! Previous Previous post: Romney wool 2 ply yarn in fun colors! Next Next post: We Got a Horse Trailer!